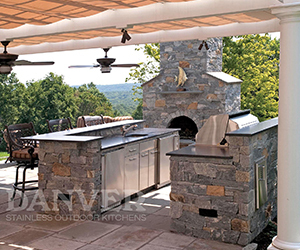 Geneva Deck Company, provides customers with professional design and builder services. We meet with you to discuss your needs and wants, present deck design solutions and opportunities, and assist you in decision-making. We take measurements and photos of your site, and when the time comes to build, we are knowledgeable about local building codes and will obtain the necessary permits. Geneva Deck makes sure the design works for your property and lifestyle by mapping your site for things such as design features, placement of furniture, traffic flow, and even whether your deck is the proper height and size for everything you want to do. We have plumbers for the sewer piping, HVAC professionals for gas lines, electricians for lighting and entertainment systems, and all materials. All our decks and outdoor living environments are delivered on time and at the contracted price. Take a load off after a long day or entertain guests like a professional with a built-in cocktail station designed for installation into your custom designed cabinets. An ice cold drink is the perfect way to complete a delicious meal outdoors, or to ensure your guests are enjoying themselves, and bar tending centers are the perfect way to deliver just that.